Want to look younger? Who doesn’t? But do you know that eyes show the first signs of aging? The skin around your eyes is very thin, so fine lines tend to show up there long before anywhere else. But it doesn’t mean that you cannot undo it or minimize the effect of aging. You can certainly turn back the clock, iron out wrinkles, fine lines, eliminate dark circles, puffiness and more. Panda eyes make you look much older, even more than fine lines. Yes, that’s true. It can be blamed on hyperpigmentation or a collection of blood vessels underneath your eyes. Here is how you can minimize those dark bags. Wear sunscreen religiously. Make sure you buy the one which provides a physical block. Use eye creams which have magnesium and caffeine in them. Make sure you consume a healthy diet loaded with fresh fruits and veggies. Go for a dark circles removal treatment in Dubai or elsewhere if you are struggling with extreme dark circles or the genetic ones. Drink plenty of water as it helps to flush out the toxins and reduce puffiness. Treat your allergies as constant sneezing can result in puffiness and watery eyes. Visit a professional and ask for a suitable treatment. Often times the topical treatments fail to work and professional help is required. Moisturize, moisturize and moisturize. Choose gentle, fragrance-free eye creams that gently hydrate your skin without making it appear oily. If you have any skin disease that causes dryness around your eyes, you can always go and visit a dermatologist and get a suitable treatment. Last but not the least, drink loads of water. Repetitive facial movements create those little wrinkles at the corners of the eyes, commonly referred to as crow’s feet. Here are a few ways to fix them and prevent them from deepening. Wear sunglasses to protect your skin from the sun and avoid future damage. Start using retinol with the recommendation of a dermatologist. Get a professional fine lines and wrinkles treatment in Dubai or elsewhere to erase them completely. You can also go for Botox in Dubai for a quick fix. It’s as instant as it gets. Invest in a good quality concealer that matches your skin. In an instant, you will be able to erase the darkness and get a fresh look. If you are a fan of shimmery eye shadows, be careful. Applying it all over the eyelid can accentuate the creases. What should you do instead? Here is what. Place a tiny bit of shimmery eye shadow at the inner corner of the eye, then spread it to your top and bottom lid for a wider and brighter eyes appearance. Avoid extremely harsh mascaras and lash extensions. Nourish them by applying castor oil every night as it will lengthen your lashes and make them appear fuller. I hope these tips and tricks helped you. However, if you are looking for an expert opinion in regards to your skin, then you have come to the right place. 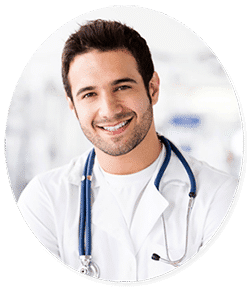 Simply fill in the free consultation form below and one of our representatives will contact you to arrange a one on one, free and no-obligatory consultation.